We have started a tradition here at Black Sheep...every quarter of the year we celebrate the shift of the Equinox/Solstice by doing rounds of Surya Namaskar A's as a community. We are inviting all levels of yogis to join us once again on the beautiful rooftop sky-deck of the Marriott Spring Hill Suites (in downtown Oceanside) as we Salute the Sun gazing out over the ocean as we practice in Seva (selfless service) to help raise funds for the Sean O' Shea Foundation.In the Summer and Winter we do 108 & the in Spring and Fall we do 54. Childs pose and water breaks will be offered and everyone is welcome to practice at their own level. So come join your favorite "Good Vibe Tribe" teachers as they to lead you thru this moving meditation. We will also be offering hands-on assists in Savasana. 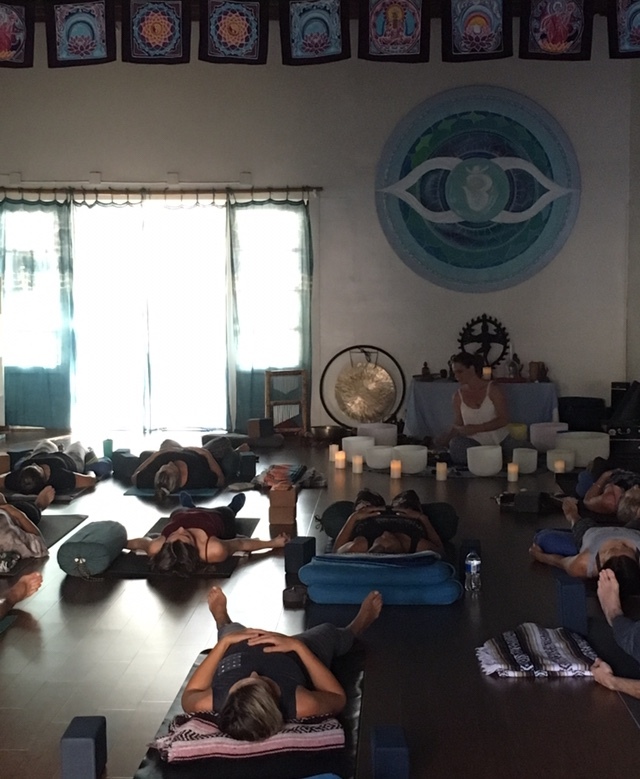 This is a cash donation based class (suggested $15) with all benefits going to the Sean O' Shea Foundation who are committed to offering yoga and meditation programs to the less fortunate children and teens of Oceanside and San Diego counties.